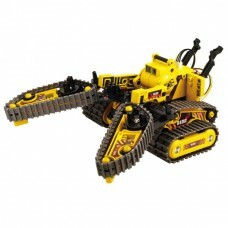 The 3 in 1 All Terrain Robot Kit provides three tracked robot variations and a wired remote. This kit features a set of continuous track tank tread propulsion. The kit can be transformed into three different types of robots: a forklift, gripper and rover. The robot can be commanded to move forward, backward, turn, grip and lift by using a wired remote. 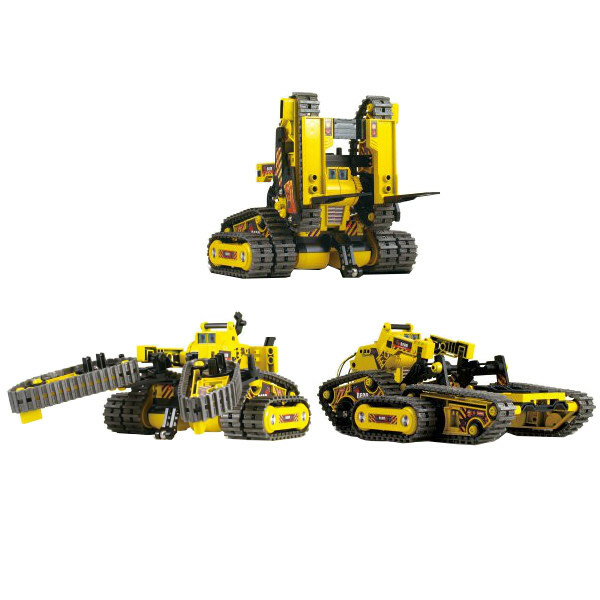 The forklift and gripper robot modes can lift up to 100 grams. 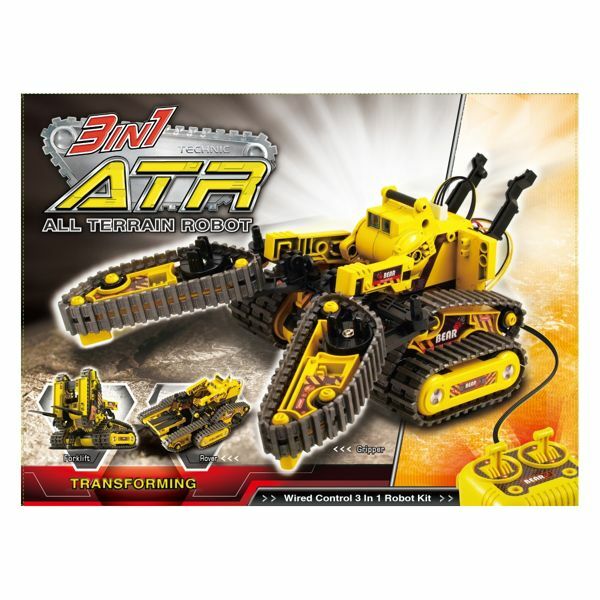 The All Terrain Robot Kit is designed to be assembled and reassembled to transform into the various robot modes.